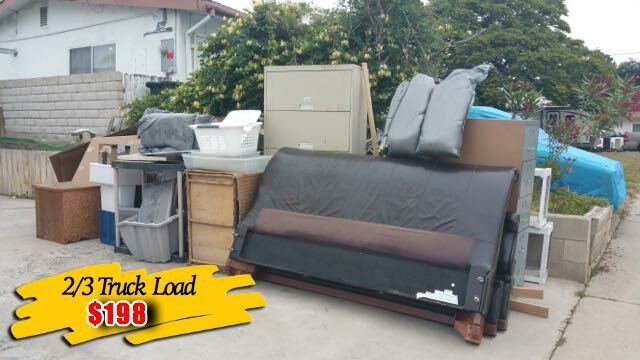 A 2/3 truck load of junk is only $198 for curbside pick up. We hauled this load for a customer in Chula Vista. 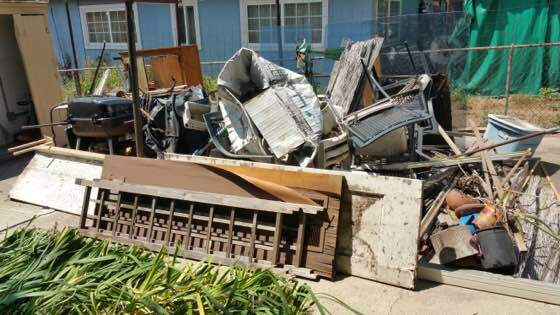 Our customer was so happy to have found us, another junk removal service wanted $400 to haul this pile of junk away. We charged $198! 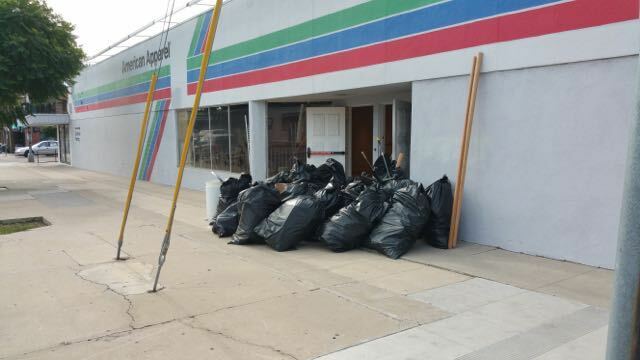 Our fee to haul away these garbage bags of trash was only $198. 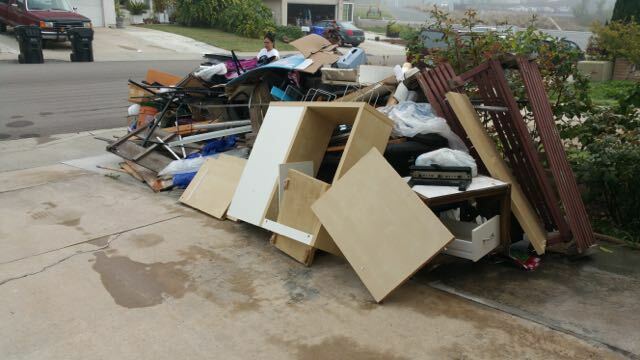 Fred’s Junk removal picks up more trash for less.